Workfront Single Sign-On supports the integration with Azure Active Directory. You configure Workfront SSO with Azure Active Directory using the SAML 2.0 option in Workfront. NOTE Workfront is not responsible for setting up and troubleshooting your Azure Active Directory configuration. You must have an in-house system administrator that manages that part of the integration, in addition to a Workfront system administrator. To configure the integration of Workfront SSO with Azure Active Directory, you need to add Workfront from the Azure gallery to your list of managed SaaS apps. 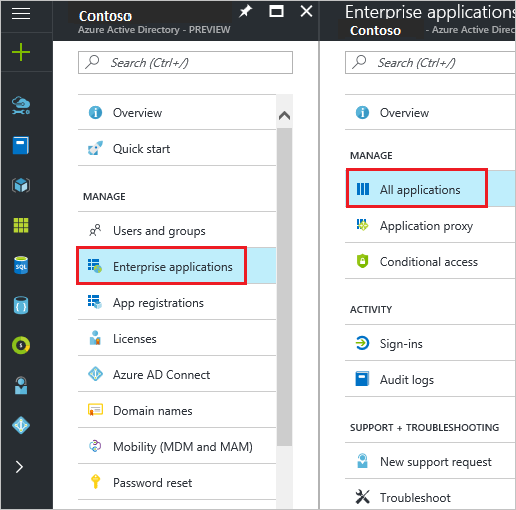 In the Azure Portal, on the left navigation panel, click the Azure Active Directory icon. To add a new application, click the New application button on the top of the dialog. In the search box, type Workfront. In the results panel, select Workfront, and then click Add button to add the application. In the Azure Portal, on the Workfront application integration page, click Single sign-on. On the Single sign-on dialog box, select Mode as SAML-based Sign-on to enable Single Sign-On. In the SAML Signing Certificate section, click Certificate(Base64) and then save the Certificate file on your computer. In the Workfront Configuration section, click Configure Workfront to open Configure sign-on window. 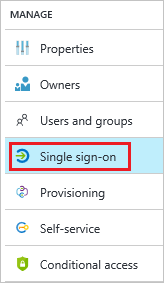 Copy the Sign-Out URL and SAML Single Sign-On Service URL from the Quick Reference section. Navigate to the Setup area in the Global Navigation Bar. Expand System, then click Single Sign-On (SSO). Select SAML 2.0 for the Type field. Paste the SAML Single Sign-On Service URL into the Login Portal URL field. Paste the Single Sign-Out URL into the Sign-Out URL field. Specify the Change Password URL.